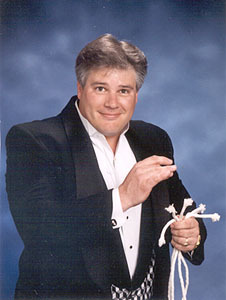 Lance has been performing magic and twisting balloons for over 25 years. He is a member of the International Brotherhood of Magicians, and Magicians Society. He has joined forces with many other magicians country and world wide in a mastermind alliance. This group has been so beneficial for his performances by providing training and help from some of the best in the business. This training, along with over 4000 magic shows performed, has given Lance the experience needed to make your event a success, and for your reputation to be safe. There has not been a situation in the last 15 years that Lance has walked away from feeling like "oh that was not good". It's the experience of Company, Parlor, City Fairs, Festivals, School Assemblies, Birthday parties etc... that has given Lance a solid foundation for performing for your event. Quick wit, and comedy goes a long ways if the magic is just right. His abilities reach to the whole audience whether they be big or small. His shows are fun, fast passed and far reaching. He has developed educational programs, teaching programs, and motivational shows that uplift and teach. He has 2 magic books that are available that are perfect for an aspiring future magician or if you just need some fun magic to do. Lance has 5 children who he can try his magic out on first and if they give the thumbs up- it's in the show. 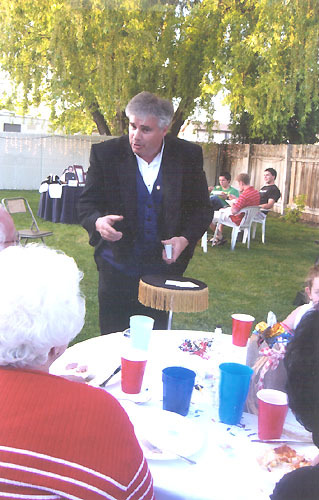 He is a Utah native having attended Cottonwood High School and the U of U.
Lance can put on magic shows for a variety of different events, functions, parties and venues. If you would like to book a show click on the book button below. Cub Scout banquets, teach ins, blue and gold.